OMG You guys!!! 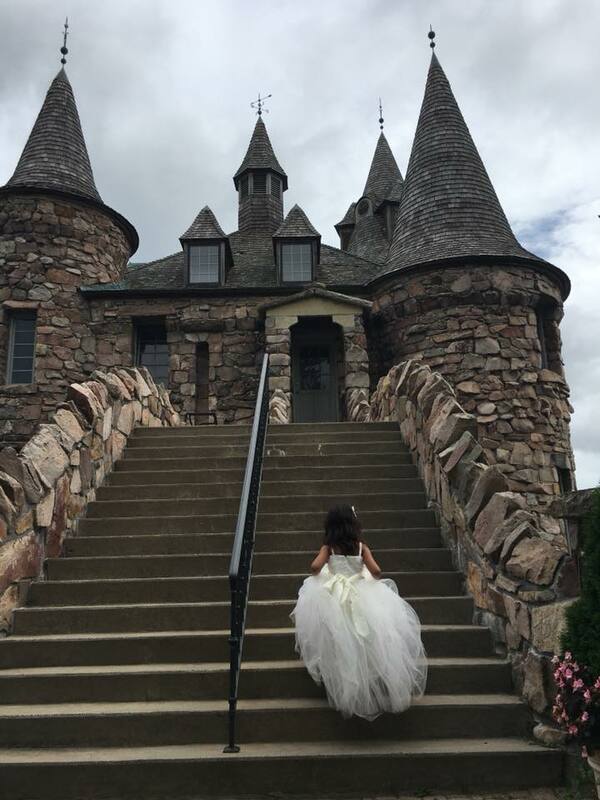 Okay so if you’ve been reading my wedding Wednesday series, you would know that I am planning the Castle Wedding of my dreams, and that I have already ordered the wedding dress of my dreams. For about a month and a half or so, I totally put wedding planning on the backburner. This is because that thought I was in a difficult spot trying to find a flower girl dress. I think that it is important when shopping for a dress for special occasions that you get to see the dress in person and try the dress on. 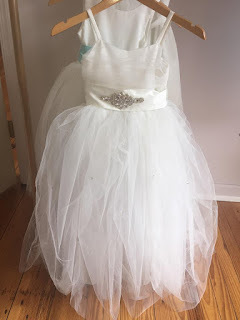 My 6-year-old LOVES princess dresses and so I wanted to give her that experience of trying things on. I’m sure that I could have found some online, but I didn’t want to. The problem was, that I live far away from decent bridal shops. Additionally, I had been to David’s Bridal for both of my friend’s weddings, and I wasn’t impressed. Anyway, so I like to take the girls for walks downtown on warm spring and summer evenings. A couple weeks ago, we happened to walk past a bridal shop and it had tons of cute flower girl dresses in the window. It was closed at the time because this was at night, but I was so excited to take the girls to try them on. Later that week we headed over to The Valley Bride. A cute little bridal boutique in the heart of downtown Winchester. 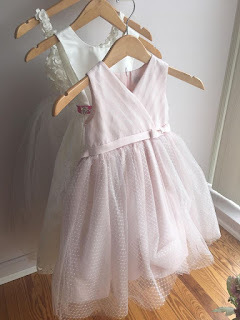 I was pleasantly surprised with the selection of flower girl dresses that she had. The girls were even more excited, and we began picking out dresses. There were a couple of dresses that we didn’t try because they different colors and I want the girls to have white dresses. They tried princess dresses on first. I wasn’t a fan of the first dress that Zoey tried on because of the flower detail. The princess dress that Alexa tried was very cute, but I wanted to check out the rest of the options. Then Zoey tried on another Princess dress that she fell in love with! She decided that she wanted to have this one. I am happy with it and I think it looks amazing on her. 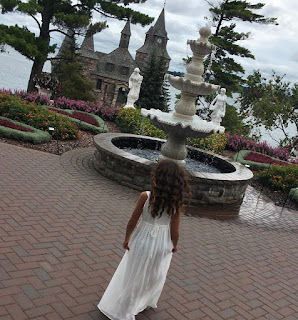 Alexa chose a beautiful Grecian style maxi dress. I forgot to take a photo of the dress, and I don't want to post photos of my kids online, so I am unable to share it right now, but when I go back to order the dresses I will add a photo. They each chose completely different dresses, but I expected it to be that way. Alexa isn't into the princess life as much as Zoey is, and I'm glad she was able to find a dress that was perfect for her. I can't wait until the Wedding! I'm getting more excited as the days go by. Don't forget to check out the other posts in this series, so you can read all about my Castle Wedding. My wedding was the dreamiest day of my life! Here are some pictures of the girls in their dresses! And you can read all about the wedding here.